I partnered with Dunkin’ Donuts on this sponsored post for their new Ice Cream Flavored Coffees. All opinions are 100% mine. 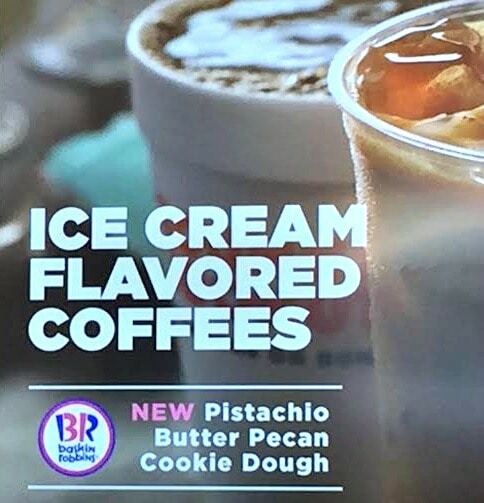 What do you get when you combine your favorite ice cream flavors from Baskin-Robbins, with coffee from Dunkin’ Donuts? The perfect blend of sweetness for a delicious coffee treat. I love Baskin Robbins ice cream and I love Dunkin’ Donuts coffee but I had never enjoyed those flavors together. It’s an awesome combination and I can’t wait to try all of them! I have always been a fan of pistachios but had never had pistachio flavored coffee before. It is surprisingly delicious in a coffee beverage. The combination of roasted Pistachio and Dunkin’ Donuts coffee is a perfect match. If the idea of combining Baskin-Robbins ice cream flavors with coffee sounds delicious to you too, there are two other new choices to put on your “must try” list. Butter Pecan, which features indulgent butter roasted pecan and sweet cream flavors and Cookie Dough which combines the taste of two all time classics; cookies and coffee. Cookie Dough + coffee = bliss. These new flavors are available for spring, so you want to be sure and visit Dunkin’ Donuts now and try them all! 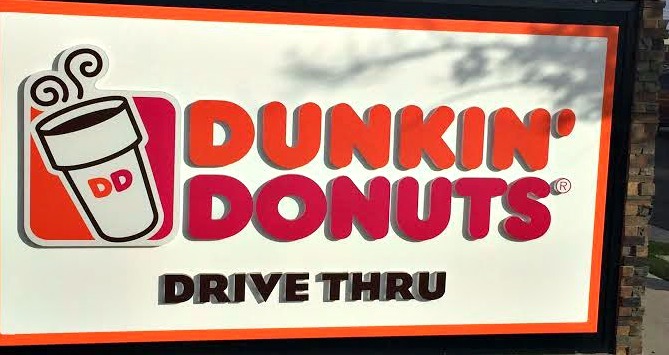 I grew up in Connecticut and Dunkin’ Donuts was the place to go for really good coffee. Up until recently, it was not available where I live, in Southern California. I was so excited to find one close to home now and a drive-in too. It’s the little things that make me happy! Last Sunday, my husband and I went shopping for a new washer and dryer. It wasn’t our ideal way to spend the day, but it had to be done. We went to one store and it was too busy and we were both getting crabby. In between stores, we stopped at Dunkin’ Donuts for a treat. He enjoyed a chocolate donut and I enjoyed my iced coffee. After our time out to refuel and refresh, we were ready to head out and tackle the task. Sometimes all it takes is a little treat to make the day better. 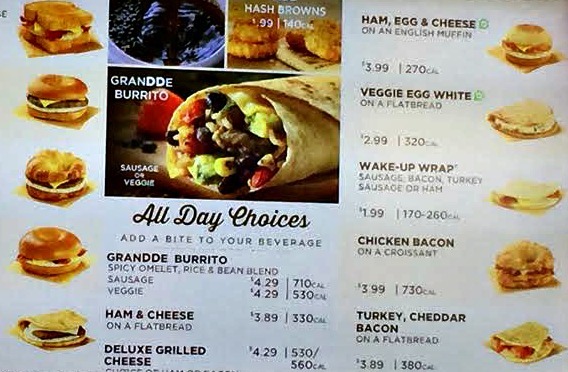 On my recent visit to Dunkin’ Donuts, I learned that they have a full breakfast menu which is available all day with some very tasty choices. Breakfast 24/7 is always a great idea. There are over 15,000 ways to order coffees and latttes at Dunkin’ Donuts all year long. Permanent flavors include Mocha, Caramel, Blueberry, Cinnamon, Coconut, French Vanilla, Hazelnut, Raspberry and Toasted Almond, among others. 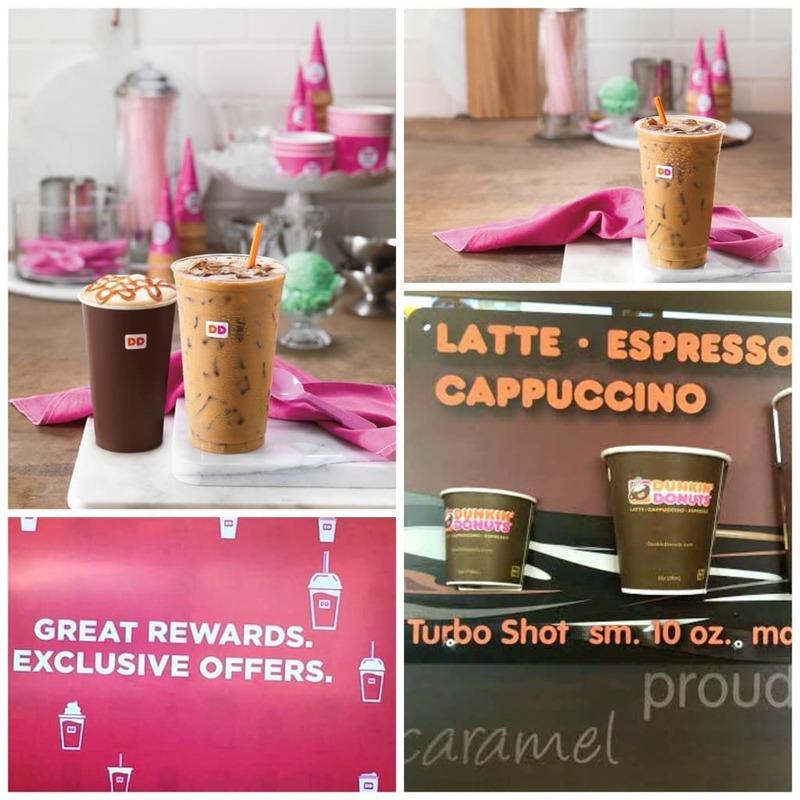 Dunkin’ Donuts first partnered with its sister brand, Baskin-Robbins, to introduce flavors of iced coffee inspired by Baskin Robbins ice cream for the first time in 2013. Be sure and try the new ice cream flavored coffees available now. I am at Dunkin Donuts every single day for caramel coconut iced coffee. I am lost without it. The choices sound delicious, wish I liked coffee! Dunkin Donut has all the flavored that is so delicious. Ice Cofee with ice cream I have to revisit Dunkin Donut more often. Yum! We’re going to have to get to Dunkin Donuts soon. My boyfriend actually goes during his lunch breaks! I’ve heard so many good things about the new Dunkin Donuts coffee flavors! I think it’s about time I headed to one of their stores here. I love their sandwiches and their donuts! Always amazing! I love Dunkin’ Donuts! I am there almost everyday, but I didn’t realize there are over 15,000 to get coffee! That is crazy! I love lattes but they have to be sweet. I am not typically a coffee kind of person but I am interested in giving one of these new flavors a try. Might hit up DD after church on Sunday and get some donuts and coffee as an Easter treat!! Hmmmmm, I love pistachio everything, but I’m trying to wrap my head around that flavor in coffee. I’ll have to try it and see what it’s all about. I am not a huge coffee fan but I love Dunkin Donuts and pistachios! These sound delicious. I wish I lived closer to a Dunkin Donuts. Luckily we have a gas station near by that sells Dunkin Donuts coffee and doughnuts! Ice cream flavored coffee sounds absolutely fabulous! I need to make a trip to Dunkin Donuts! I love donut in dunkin donut, it’s really yummy and fantastic. I also like their coffee. I have never tried any of their beverages. We only buy donuts everytime. It must tastes good. I have to try this very soon! Sounds really delicious and yummy. Totally love this. Girl, sign me up! I love pistachio. I love Baskin Robbins. And I love, love, love Dunkin Donuts! Oh my goodness. That sounds like trouble. Like a totally delicious kind of trouble!